The readings are: I Samuel 3: 1-10; Psalm 139: 1-5, 12-18; Revelation 5: 1-10; John 1: 43-51. 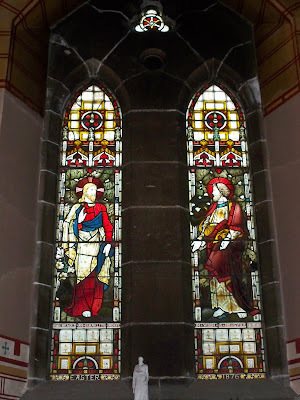 There is a direct link to the readings here. These readings are appropriate readings for a Sunday after Epiphany, asking us to consider our own call to discipleship, and challenging us to think about who is the Christ who calls us to follow him. God’s call comes to a variety of people, and in surprising ways. The Old Testament reading recalls the story of the call of Samuel. Along with the Psalm and the readings from the Book of Revelation and Saint John’s Gospel, this reading to ask about how we know who we are and what we are meant to be doing. The Psalm continues this theme: ‘O Lord, you have searched me out and known me’ (Psalm 139: 1). Not only did God knit us together in our mother’s wombs, but this whole passage reads like we are in God’s womb, hemmed in by God behind and before. Our life is in God’s womb, which is a peaceful and comforting thought. We cannot go where God is not, and God, in a sense, is also chasing after us, insisting on having a relationship with us. 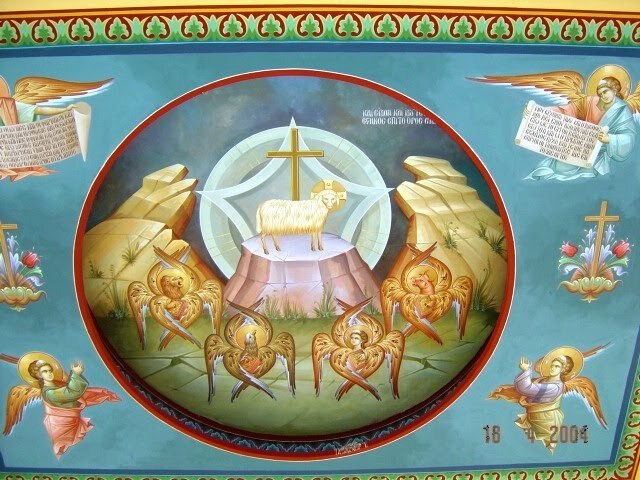 The New Testament reading (Revelation 5: 1-10) tells us that the Church or the saints are ‘from every tribe and language and nation’ and they have been made ‘to be a kingdom and priests serving our God, and they will reign on earth’ (see Revelation 5: 9-10). 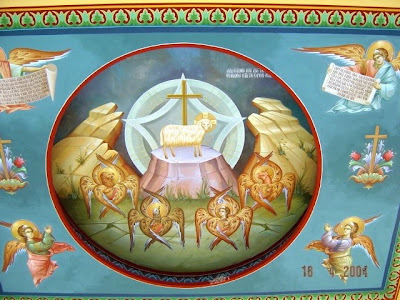 Here we are reminded that Christ, the Lamb on the Throne, has made us ‘to be a kingdom and priests serving our God’ (Revelation 5: 10), preparing the world for the Kingdom of God, inviting the world into the Kingdom of God. The Church in its ministry and in its membership should reflect the diversity of skills and talents and personalities that God gives to the Church both as gift and as blessing. The Gospel reading is the story of the call of Philip and Nathanael, and it comes immediately after the story of the call of Andrew and Peter. The back story is that immediately after his baptism by Saint John the Baptist in the River Jordan, Christ begins calling his first disciples. First, he calls Andrew and Simon Peter. Andrew is called first, but before responding to the call to follow Christ, he goes back and fetches his brother Simon and brings him to Jesus (John 1: 35-42). Andrew and Peter are brothers, but their names indicate the early differences and divisions in the Church. Andrew’s name is Greek ('Ανδρέας, Andreas), meaning ‘manly’ or ‘valorous,’ while Peter’s original name, Simon (שמעון‎, Shimon, meaning ‘hearing’) is so obviously Jewish. So, from the very beginning of the story of the call of the disciples, the diversity and divisions within the Church are represented, even in the names that show they are Jews and Greeks, the Hebrew-speakers and those who are culturally Hellenised. In reacting to those false divisions in the early Church, the Apostle Paul tells us: ‘There is no longer Jew or Greek, there is no longer slave or free, there is no longer male and female; for all of you are one in Christ Jesus’ (Galatians 3: 28; see Colossians 3: 11). Christ’s call came to the first disciples as a diverse group of people, from a wide variety of backgrounds, often – as with Philip and Nathanael – when they were least expecting it. But they responded to that call faithfully. Andrew went and fetched Simon Peter. 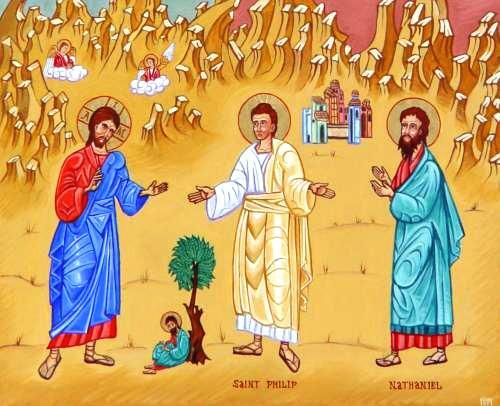 Philip found Nathanael (John 1: 45). How do we keep that call to follow Christ so fresh in our minds that it still inspires infectious enthusiasm? Are we inspired with enough infectious enthusiasm to want to go back like Andrew to call Peter, to go back like Philip and Nathanael? How do find and enjoy the courage not to be afraid of questions from others who may turn out to be like Nathanael? How do we move beyond the tolerance of diversity to the respect for diversity and then on to the point of speaking up for diversity as a gift in the Church, so that truly, as the Apostle Paul tells us: ‘There is no longer Jew or Greek, there is no longer slave or free, there is no longer male and female; for all of you are one in Christ Jesus’? 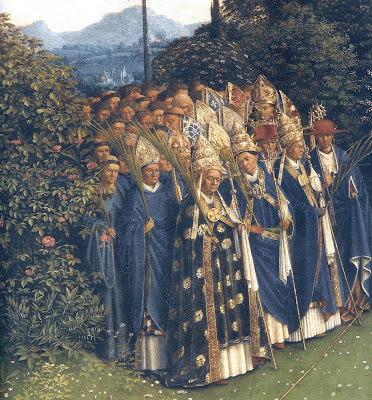 Later this Philip is the first of the apostles to bring Samaritans into the Church (see Acts 8: 4-13), much to the surprise of the other disciples, who had not yet agreed to bringing the Gospel to people who were not Jews. This Philip goes on to baptise an Ethiopian court official who is an outsider in so many ways (see Acts 8: 26-40). Before the conversion of Saint Paul, Saint Philip, who is called in this morning’s Gospel reading, is the great missionary in the Apostolic Church, bringing the Good News to those who are seen as outsiders in terms of religion and ethnicity. The mission of the Church is founded not just on respect for diversity, but on loving and embracing diversity. This is not a matter of tolerance – it is a matter or knowing what the Kingdom of God is like, and knowing how that should be reflected in our values here today. Did that ever happen to Nathanael? If so, why is it that after this story in Saint John’s Gospel, Nathanael disappears completely from the Bible? Whether others saw Nathanael as cynical or sceptical, as he presents himself in this story, Christ sees his potential and promise, and sees him as someone without guile. In Christ, Nathanael finds all things are made new, Christ transforms the poverty of his nature by the riches of his grace, and in the renewal of Nathanael’s life, God’s heavenly glory is made known. This is a promise to you and me too, to each and every one of us. The call to follow Christ holds out great promise. But in responding to that call, and in being faithful to that call, we may find ourselves called to the most unexpected tasks and places, or called to the most mundane and ordinary places and tasks – all for the sake of the Kingdom of God. We may see the angels of God ascending and descending upon the Son of Man – but without anyone knowing it. We are not called to fame and glory. A traditional icon of the Twelve Apostles: Philip and Nathanael (Bartholomew) are in the middle row, first and second from the left; Andrew is beside them in the middle of icon as the first-called of the Twelve; Peter is second from the left in the front row, facing the Apostle Paul. Other, appropriate resources are available through this link.